The game was a marked improvement over TBS's numbers for last year's NL Wild Card game, which isn't much of a surprise. 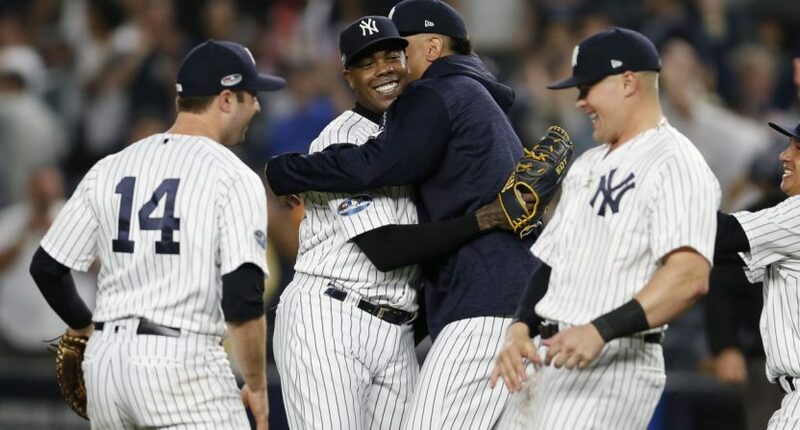 The Yankees remain one of baseball’s surefire ratings draws, relatively speaking, and that’s especially true when they’re really good. This year’s team won 100 games, which wasn’t good enough to win the AL East, but was good enough for an AL Wild Card game appearance, for which Turner executives must have been thankful. Now, while those aren’t bad numbers, it’s important to note the arbitrary data usages here. Last year’s NL Wild Card game on TBS featured an Arizona-Colorado matchup, so this year’s version was almost always going to represent an increase. Last year’s AL Wild Card game on ESPN, meanwhile, did feature the Yankees, and that contest actually drew a slightly higher rating, although it was very close. There’s also a bullet touting the streaming minutes, and while they may have been up over 2016, there’s no mention of the fact that many people were very frustrated with the product, as the streaming platform struggled with technical difficulties. The rating did lag behind ESPN’s coverage of the NL Wild Card game between the Cubs and Rockies, although that game had the advantage of being close throughout and going deep into extra innings. All-in-all, it was a solid night for TBS and Turner, and with a strong slate of American League games ahead, they should put up a fairly strong October showing. Hopefully they can figure out their streaming issues on a permanent basis.